Monday I went to swimming lessons. I liked it a lot, especially when I learned the challenging backstroke and whip kick. But some bad things happened too. The water slapped my leg. And (good news) some bad things I forgot. Best part, Jeremiah and Grace came too!!!!!! The end. That's a true story. Eliana has officially turned five! On her real birthday she asked me if she was going to get a "real birthday cake." Excuse me? 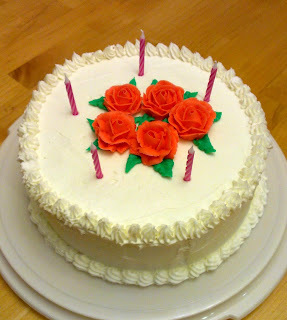 It doesn't get any more real than the cake I made for her birthday party on Sunday, the day BEFORE her birthday. She had a bunch of friends over. She and her girl friends played play-doh, princess games, and read stories. The brothers were also invited, but they quickly scampered up the stairs to William's room for some boy time. The grown-ups had their own little party down in the basement. After some cake and ice cream there were a couple of presents. I've been so scatter brained, I forgot to make my usual "no gifts please" request and a couple kids had already bought presents by the time I remembered. 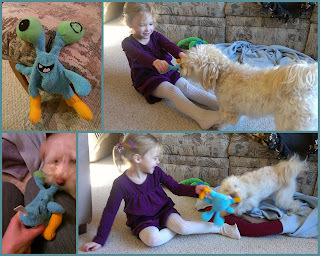 They were great gifts, of course, and Ellie loves gifts. I just don't want my kids' birthday parties to be about getting a mountain of gifts. It's enough to have a fun time celebrating with friends. The family members who give gifts is plenty. She got some cute, sparkly, girly outfits from her grandparents that she has enjoyed showing off to her friends this week. We got her a few things, most notably the "write-on teddy bear" that she has been wanting so badly since three days before Christmas. Maybe now Santa can be forgiven for not giving it to her. Ellie also has more family than your average kid. We celebrated with her birth family the week before and she got a princess sleeping bag which she has been sleeping in every night and some fun Merida toys from the movie Brave. As you can tell, this five-year-old was spoiled plenty! This has been a week of ups and downs getting back into the routine of school. We have gotten to do some fun things, like go toy shopping for Eliana's "real" birthday (she picked out a gumball machine), show off some of our new things for show-and-tell at co-op, do science experiments with William's new science lab from Mamie and Poppops, and get back into piano lessons with some new non-Christmas songs like Fur Elise and the Star Wars Theme Song. Starting tomorrow we will be kicking into high gear getting the house plans into the next phase. We are beginning to look at bids from general contractors to make a decision on moving ahead. We've been working hard on our current house to get things presentable for selling, but it's a big job. There is still a lot more to do. It's hard to believe we will be in a new house by fall! It's Christmas Eve! Merry Christmas! It feels like we've been celebrating for a while. Sunday the kids had a Christmas program at church and a birthday party for Jesus. Saturday night was our Christmas party with my dad's side of the family. We got so rowdy the police showed up (it was my cousin who is in his first year with the St. Cloud PD spreading good cheer and showing off his uniform.) On Friday we went to work with Darren. The kids got to see his office and spend some time downtown. Then we met up with friends and visited family on the way home through Maple Grove. It has been a great start to Christmas. We are looking forward to Christmas celebrations to come. Christmas day we will have brunch with my family and a fondue dinner with Darren's side. The rest of the week we will enjoy vacation time from work and school. 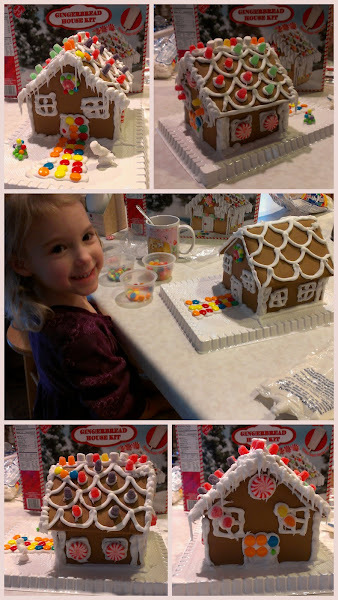 Then next weekend we will have our Christmas celebration with Ellie's birthmom's family. This is such a fun time of year. We wish the best to all of our friends and family! What a beautiful, snowy day we are having! It looks like the dog has finally crashed from his chocolate high. He found a bag of chocolates I had up in my bedroom where he is not allowed but decided to snoop while we were at church. He was smart enough to leave the foil wrappers all over our bedroom floor. I'm not sure how he managed that, but he's a pretty smart dog. He can follow commands like, "Go lay with William" without any training. Maybe we should be working with him more. Max turned two at the end of November. He has come a very long way since he came to live with us, but he is still very high strung. The chocolate seemed to make him even more hyper. The snow today was great for wearing him out a bit, but he came in covered with "ice burrs," as Eliana called them. We got an amazing amount of snow today! It was a lot of fun for the kids to play in. William made a snow fort. Eliana likes to shovel paths and crawl around in the snow. It's about time to shovel now for the third and hopefully last time. Darren shoveled enough for us to get out of the driveway this morning, but it didn't really matter. The Outback did great in the snow. It didn't even hesitate at the snow plow pile at the end of the driveway when we got home from church. It's such a fun and festive time of year. Coming off of Thanksgiving with so much to be thankful for and heading into Christmas. We are still homeschooling full force. 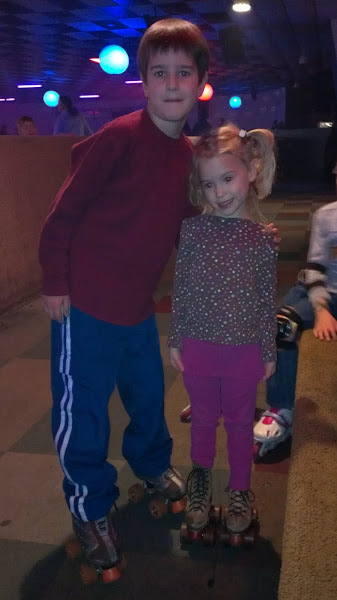 We have a concert at the nursing home on Tuesday and we went roller skating the homeschool group last Friday. Look for more fun pictures in the photo album. We have had a busy fall with school! We have bumped things up a level for third grade. It feels like we need to make sure we get in more traditional academics than we did in second grade. So we are taking fewer days off from "work." When Eliana is in preschool four afternoons a week, William and I have a nice chunk of quiet time to focus on third grade academics. We are able to take most mornings slow, do art projects, read stories, or have outings. 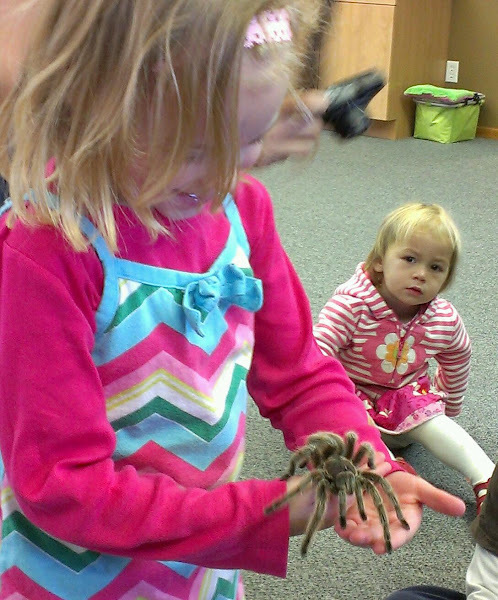 Recent morning outings include the gymnastics studio, swimming lessons at the YMCA, co-op, taking photos at my school, and Bruce the Bug Guy! I arranged for Bruce to come to town. My kids really enjoyed his bug camp last summer and were excited to see his bugs again and share them with their friends. His show culminated with eating bugs! Why will my kids eat bugs without hesitation, but turn their noses up at my cooking? We are getting ready for the holidays. It will be nice to have a couple days off for Thanksgiving this week. Then soon it will be Advent. A friend of mine was looking for book suggestions for an Advent calendar of sorts. 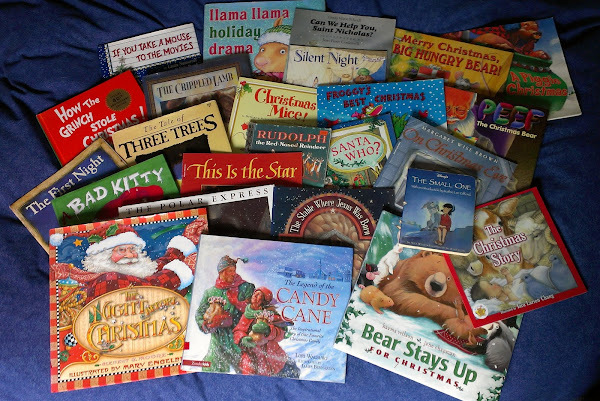 As a fellow book lover, I decided to borrow her idea and raided my kids' book shelves looking for all the Christmas themed books I could find there. I easily came up with 25 books, but I did purchase one more. One of my favorite children's Christmas songs was in book format at the Target Dollar spot. I couldn't resist. Here is the array of books we came up with. 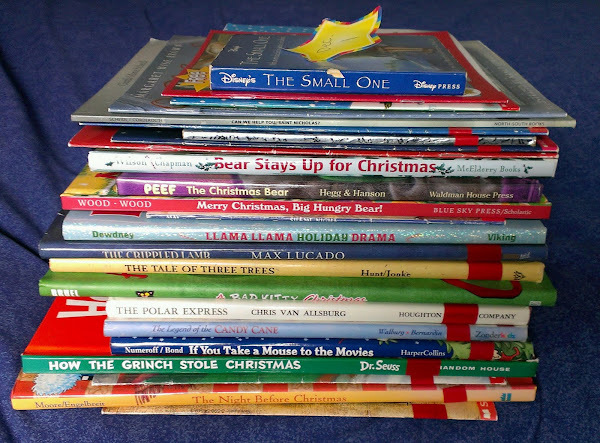 We will read one each day starting on December 1st. The last one will be read Christmas morning. When the stack is gone, it will be Christmas! Last week we were unable to go on our field trip to the farm because of a sick kid, so we carved our pumpkins instead. It was a chilly day, so I didn't mind the indoor activity. 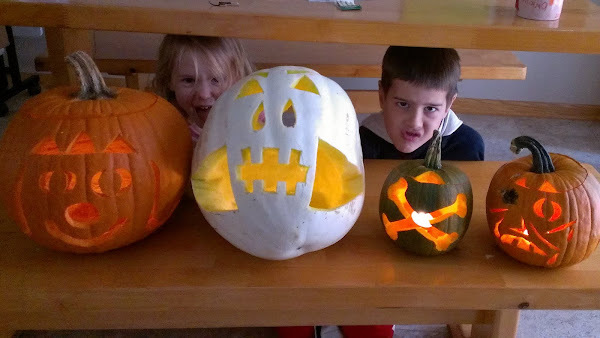 The kids' carving personalities haven't changed. Ellie still likes the messiness and William prefers the hands-off creative design aspect. He designed the skull and crossbones and the zombie pumpkin (he thought the zombie turned out even scarier than the skull). He specifically chose a white pumpkin for the skull design. The zombie and crossbones were grown by chance in our compost pile in the woods. The rotted hole turned into a fun feature. Ellie's princess pumpkin was designed by Eliana herself. William and I chose a nice, round pumpkin for her while she was at preschool one day. 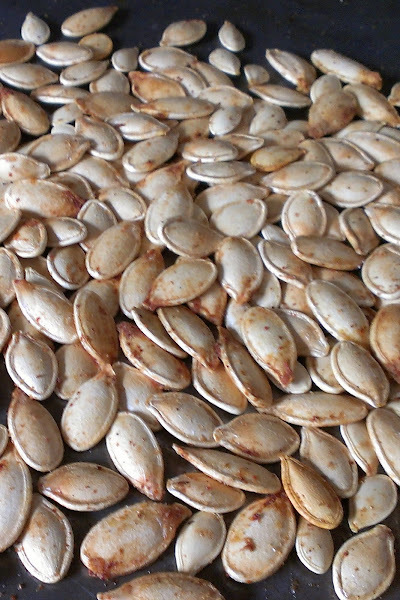 We roasted up some seeds from each of the pumpkins and they were all delicious! I wish we'd saved more because they were gone within the afternoon. Yummy! I have to apologize for not updating the blog for so long. I have been having computer troubles for a few months and it has become very time consuming to get new pictures on here. Writing blog entries just isn't as fun without pictures. 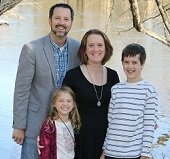 A lot is going on with planning for the new house, school, and work. It's all very good, but doesn't leave a lot of time to mess around with the website. Eliana is in preschool and doing fabulously. Her teacher described her as "amazing" at her first conference. She is doing very well academically and more importantly, she is a good friend. William is homeschooling again this year. He turned eight and is officially in third grade. 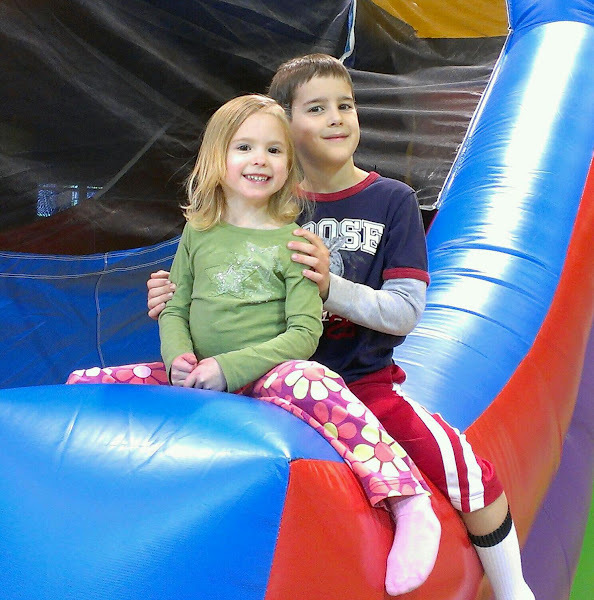 He keeps us hopping with co-ops, sports, piano lessons, field trips, and play dates. Last week we went to watch the Hobbit by GREAT theater company. 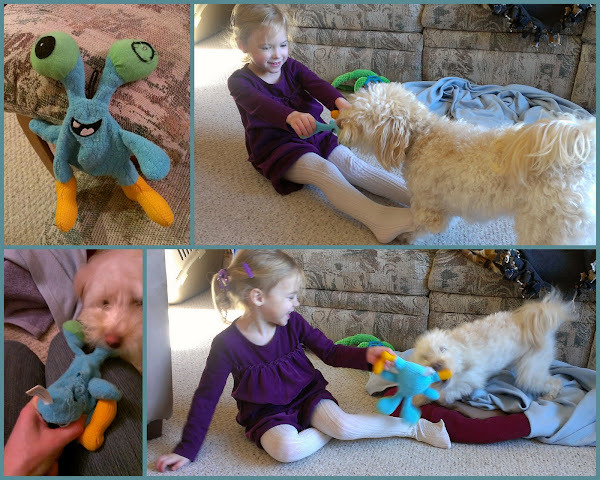 We had piano lessons, a doctor appointment, dental visit, and a play date. Then we were able to visit a local zoo! How could I forget the winning Johnnie game last weekend?!?! It's been a great week. My goal for this weekend is to get some updated pictures on here. Wish me luck! Update: Pictures are successfully transferred to the computer and I've gotten about half of them up here! Hooray! Fuzzy Wuzzy wasn't fluffy... RIGHT?!?! I love Abi and Faith, Parker, Leah, and John. And I love the flowers they have. I really know them. They are our cousins. They live far away in Arkansas. I super duper love them. And I really, really love them! We got to sleep over four nights. And we got to sleep at the hotel for one night. We got to swim and I went down the water slide with Daddy. It was very fun! It was supposed to be a beautiful day and we got to swim in Abi, Faith and Parker's grandma's lake two times! We got to see the Arkansas rocks. The end.